Anyone that trains hard and often will preach to you about how important recovery is from session to session. As fun as it is to beat yourself up each day in the weight room or on the field, you need to do something to turn the ship around for the next days workout, practice, or competition. Here are a few quick and simple ways to help promote recovery from day to day. As simple and as obvious as it is, spending more time on a foam roller will do wonders in making you feel a little better and recover faster, yet many people don’t spend enough time foam rolling. Training hard creates trigger points and adhesions within your muscles, knotting your muscles up and making foam rolling a somewhat painful experience at times. Spending 5-10 minutes a day on a foam roller would be an absolute minimum in my eyes, and if your a college athlete, there is no reason why you shouldn’t have a foam roller in your dorm room/apartment. 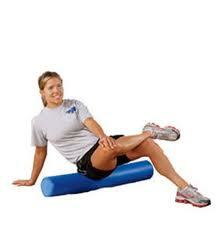 Thanks to Kelly Starrett of MobilityWOD, stretching and mobility can now be fun. Taking 15 minutes at night to go through some type of mobility or flexibility drills can not only help you recover from the days work, but can help you turn the ship around for the next days training session or competition. Anyone can find 15 minutes to make themselves better a day, so make it a priority. Here is one of my favorites from Kelly for opening up the hips. It seems simple, but getting more sleep is crucial for an athlete or weekend warrior training hard. Aim for 7-8+ hours a sleep a night, and try to get to bed and wake up around the same times each day so that your body can get into some type of cycle. An often overlooked aspect of recovery is proper nutrition after training, whether it be strength training, conditioning, or a practice/game. Getting some quality sources of carbohydrates and protein within an hour after your session will help to promote the healing and recovery process. 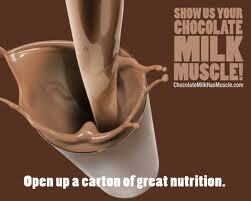 Something as simple as a glass of chocolate milk or a protein shake mixed in fat free milk is a great, easy and effective post workout shake. We have become a culture of “more is better” which isn’t the case when it comes to strength training and conditioning. 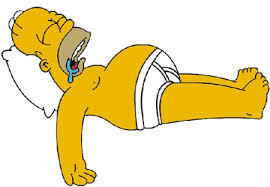 You need to take some days off and let your body rest. A rest day is a great time to spend extra time with your foam roller and working on some mobility, taking the dog for a walk, or jumping on the bike for an easy ride. 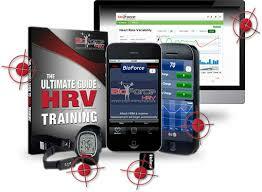 If you really want to take your recovery to the next level, buy yourself the BioForce HRV app. Simply put, the BioForce HRV app allows you to track your recovery from day to day by taking your HRV each morning. The app will allow you to track your recovery over time and readiness every day. With the app you can take the guessing out of the equation and train when your body is ready to train and take rest days when your body needs a little break. Incorporate one, two, three or more of these ideas into your daily schedule and watch your recovery improve and performance in the weight room or on the field increase. Take care of your body, you only have one.